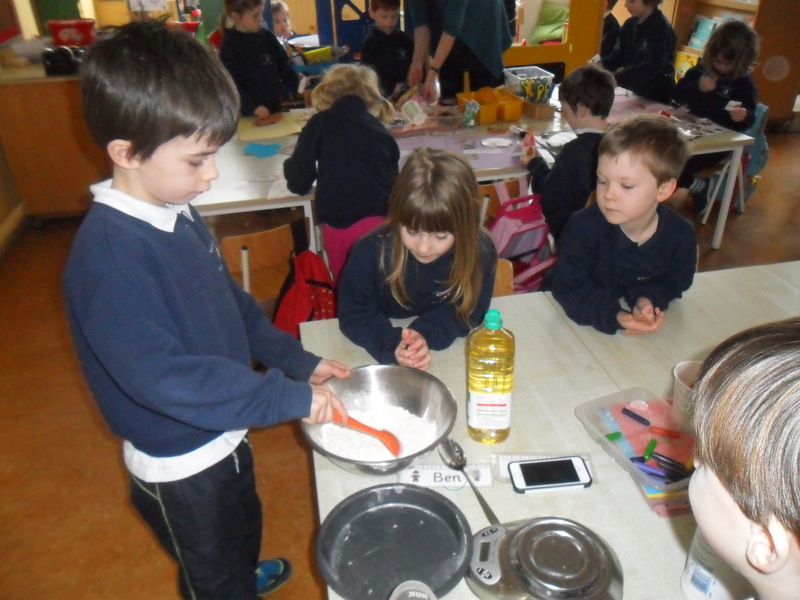 This week the Junior Infants are learning about healthy eating and making collages to show what food is healthy and unhealthy. They are making salt dough and moulding it into different shapes before baking it. 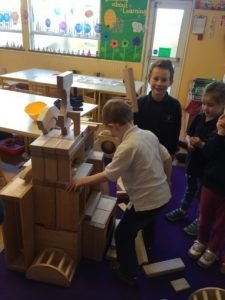 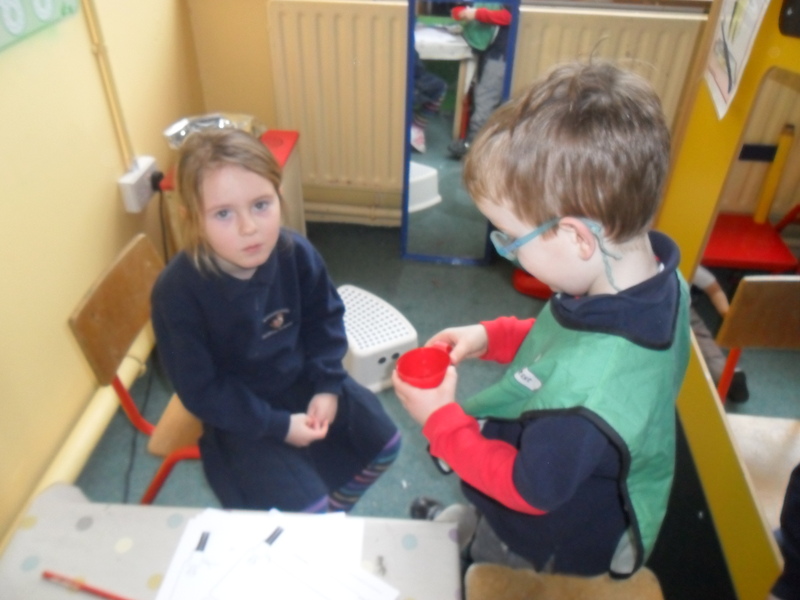 The children built robots in the Construction Corner and are in role as dentists, the dental nurse, the receptionist and the patients in ‘The Dental Surgery’ in the Home Corner. 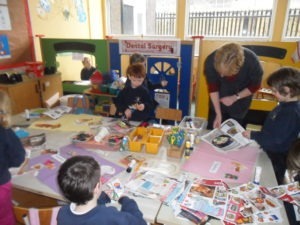 This week we are learning about keeping teeth and gums healthy and what food is good for us. 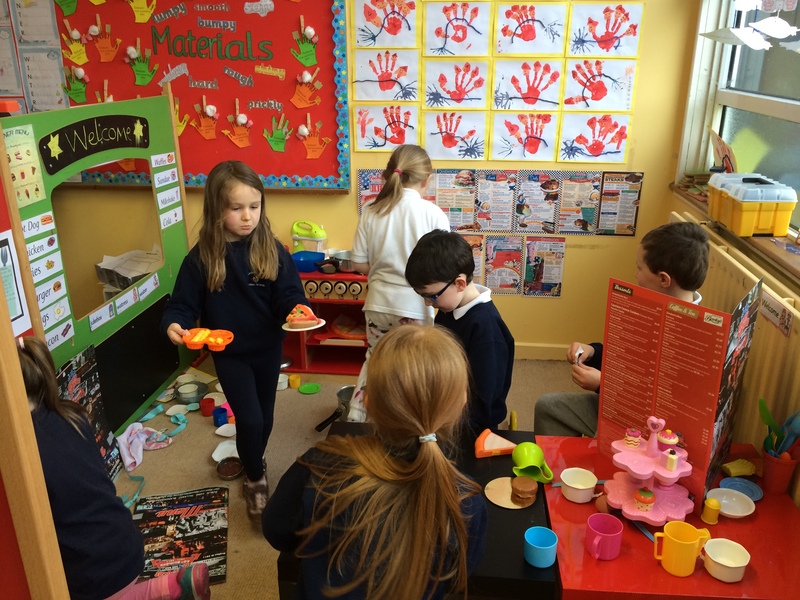 We are talking about the different food groups and the importance of a balanced diet. 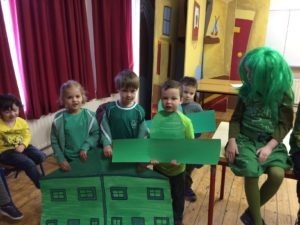 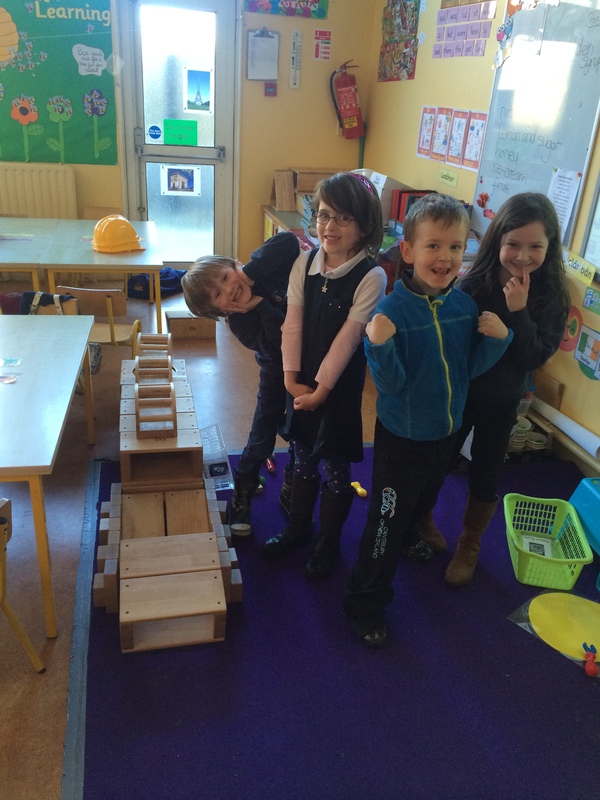 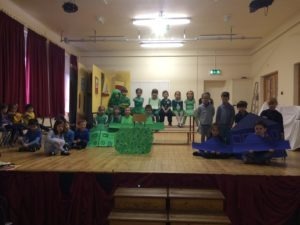 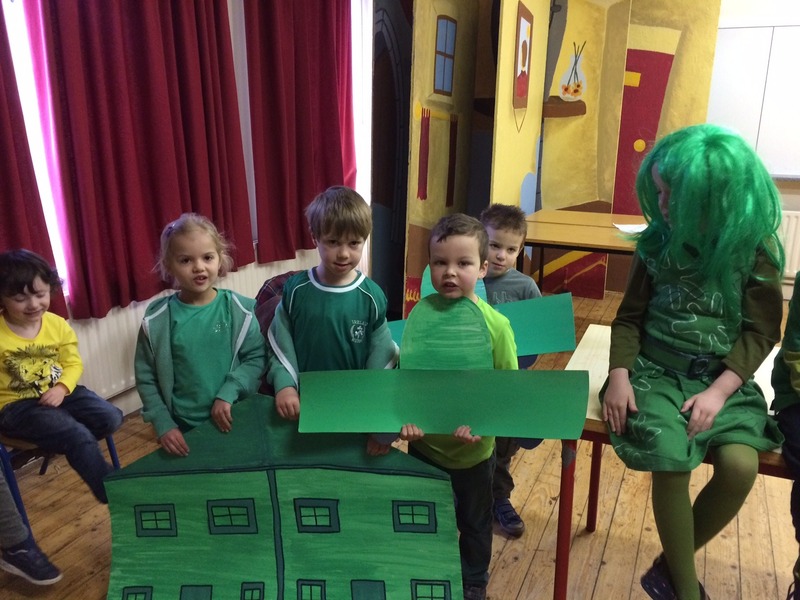 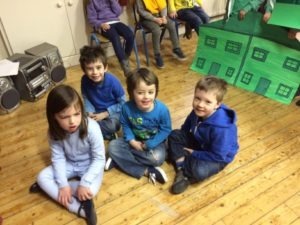 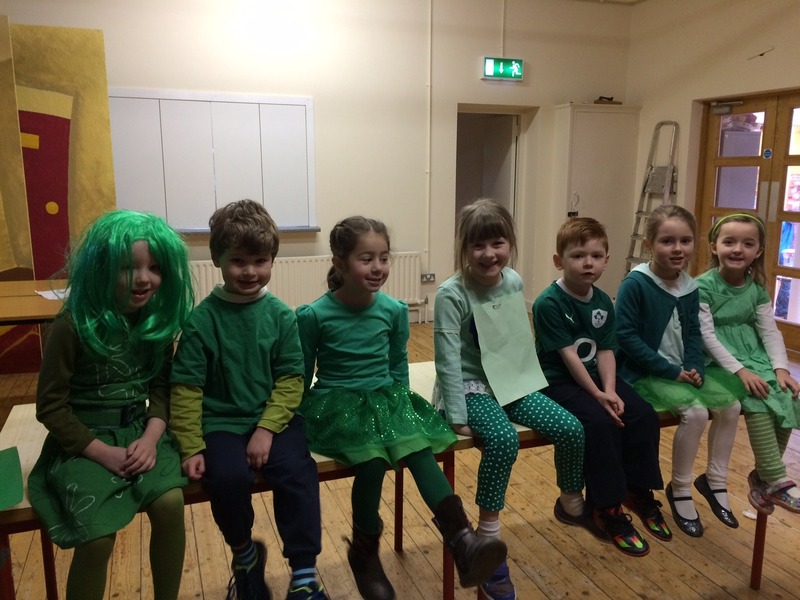 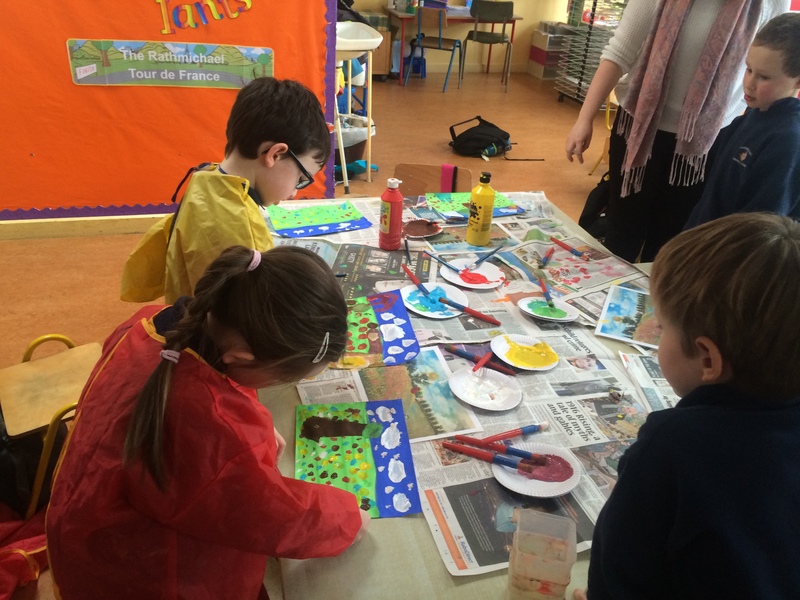 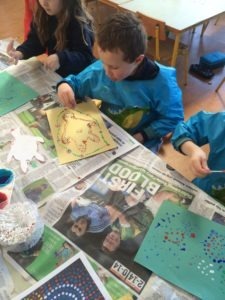 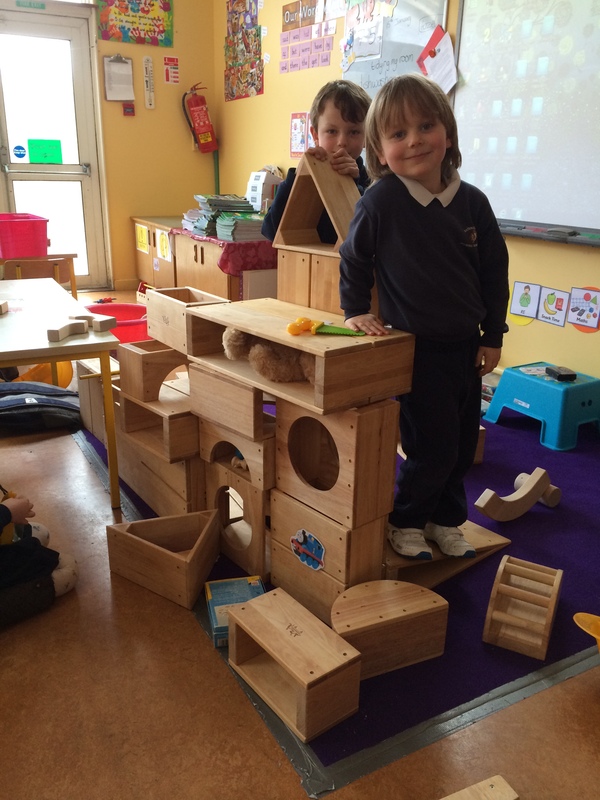 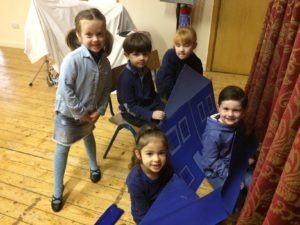 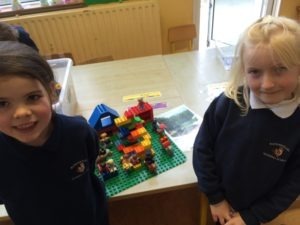 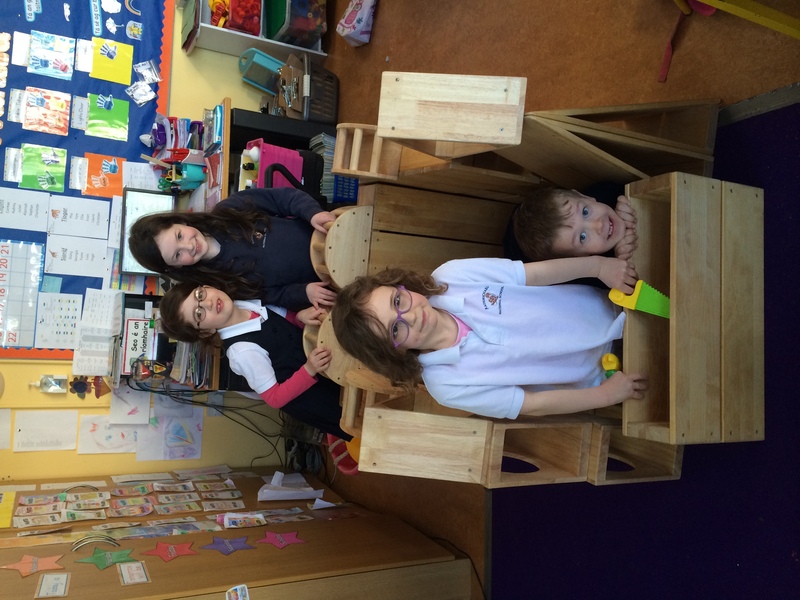 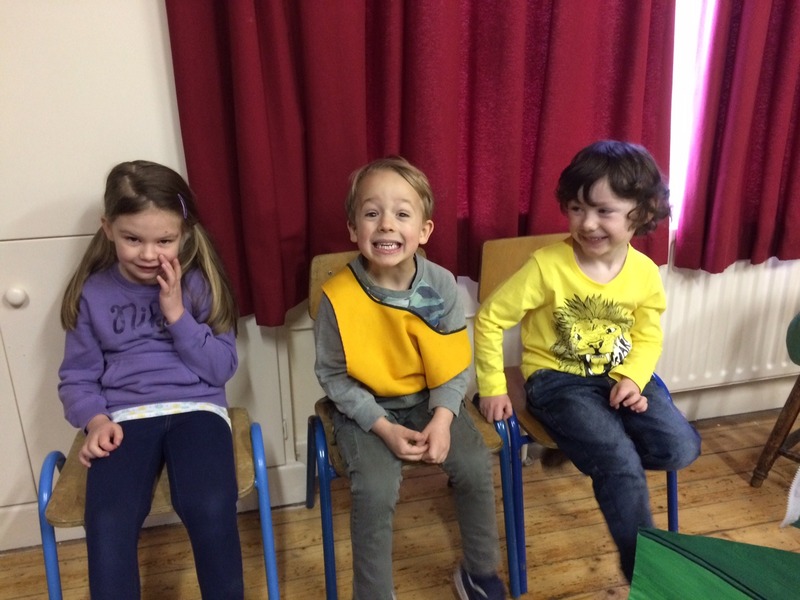 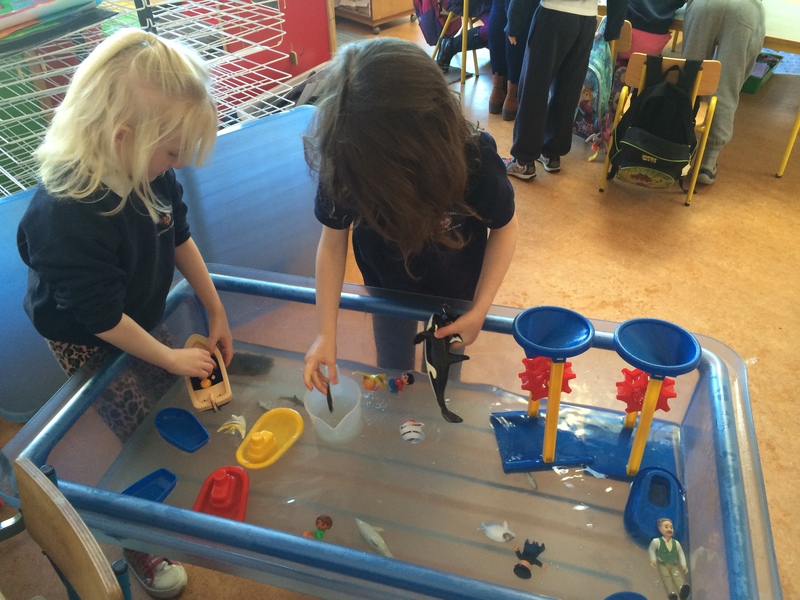 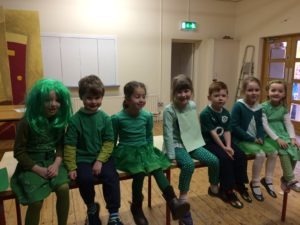 During the month of February Senior Infants have been learning all about the theme ‘Countries and Capital Cities’ based on the ‘People and places in other areas’ strand unit of the Geography curriculum. 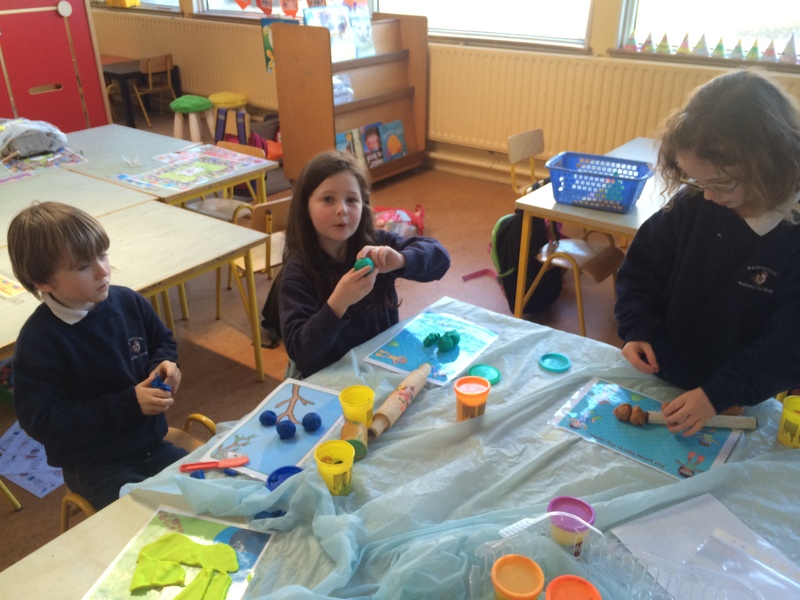 The countries that we focused on for the month are America, France, Kenya and Australia. We learned all about the lifestyle and culture of these countries; the people, the language, the weather, the capital cities, the food, sports, animals and plant life and traditions. 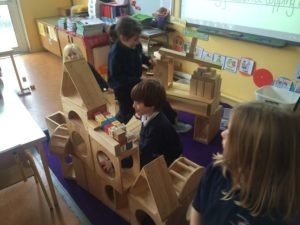 We looked at lots of photographs of famous landmarks, watched video clips that gave us a glimpse of life in each country and we read a lovely book in English called ‘A Lion in Paris’ by Beatrice Alemagna. We even enjoyed some French food tasting, sampling baguettes, croissants and French goats cheese! In the home corner we took on roles in the ‘American Fast Food Diner’ and the ‘French Restaurant’ to develop our understanding of the different types of restaurant and the different foods, service and style in each. 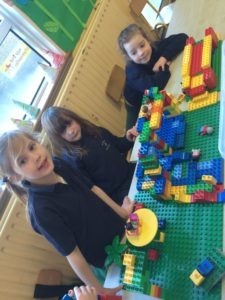 We were very busy at the construction corner this month too, making The Empire States building, The Statue of Liberty, The Eiffel Tower, The Arc de Triomphe, The Sydney Opera House and The Sydney Harbour Bridge. 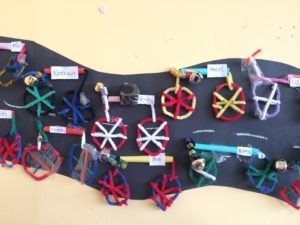 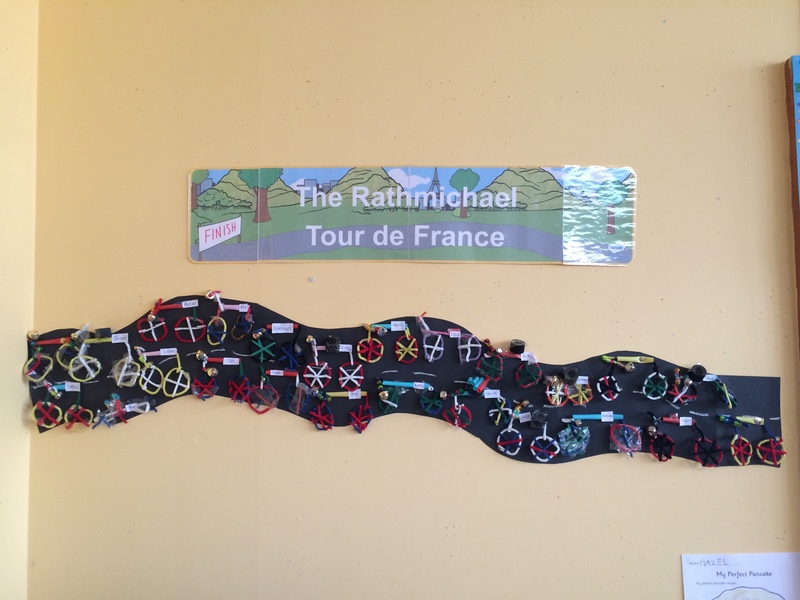 We also designed very detailed models of Central Park including all the activities that can be done there and created our own bicycles out of pipe-cleaners, straws, bottle tops, beads and bells for our very own ‘Rathmichael Tour de France’ (which is now displayed on the wall of our classroom if you would like to visit and have a look”). 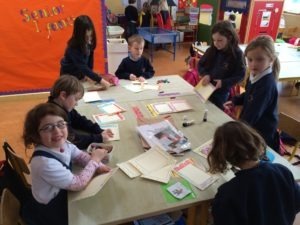 We discussed some of these countries most famous artists and experimented with their style of Art. 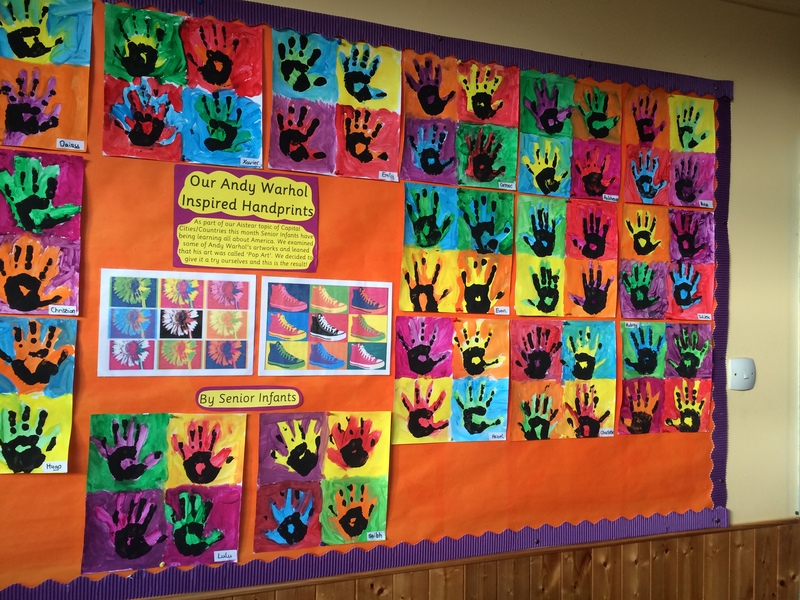 We created Andy Warhol inspired handprint paintings (now on display on the wall outside our room), we painted our own version of Claude Monet’s Poppy Field which was very difficult as there’s lots of detail and finally this week we have been designing our very own Aboriginal Dot Art. 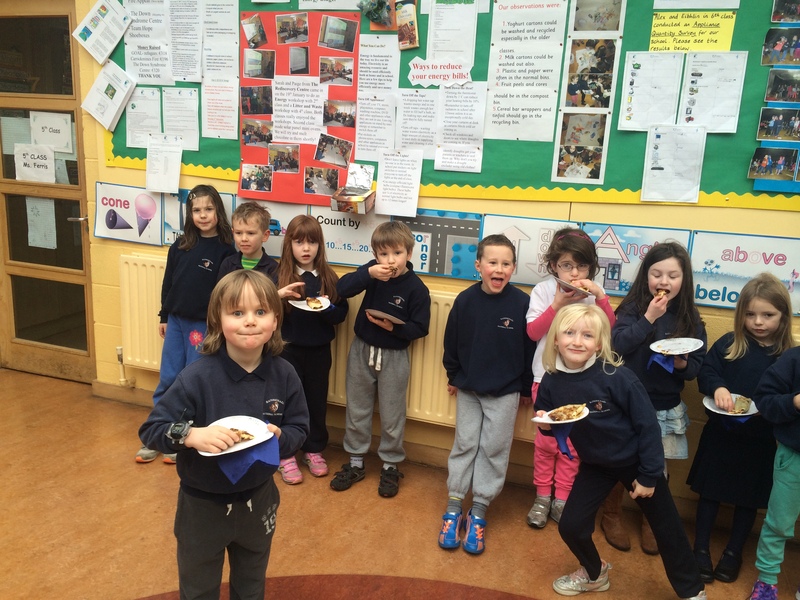 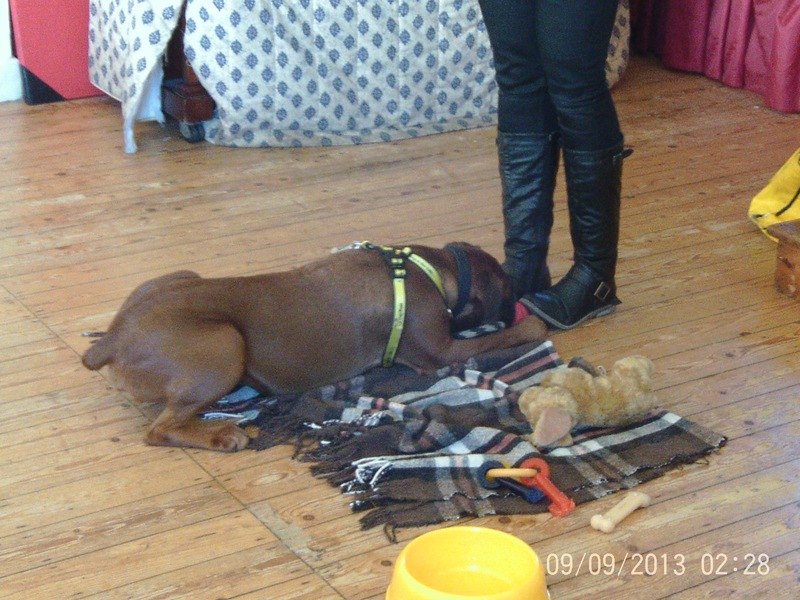 It’s been a busy month as we also had a visit from Dogs Trust and enjoyed the Pancake Day! Our new topic starting next week will be ‘Space’. 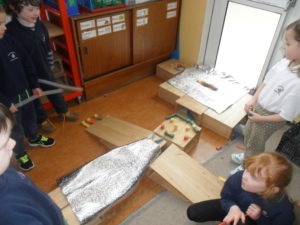 We will have two weeks on this topic before the Easter holidays and no doubt it will be lots of fun! 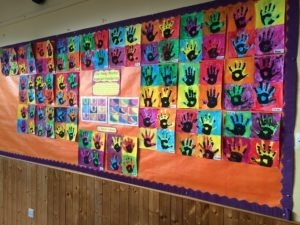 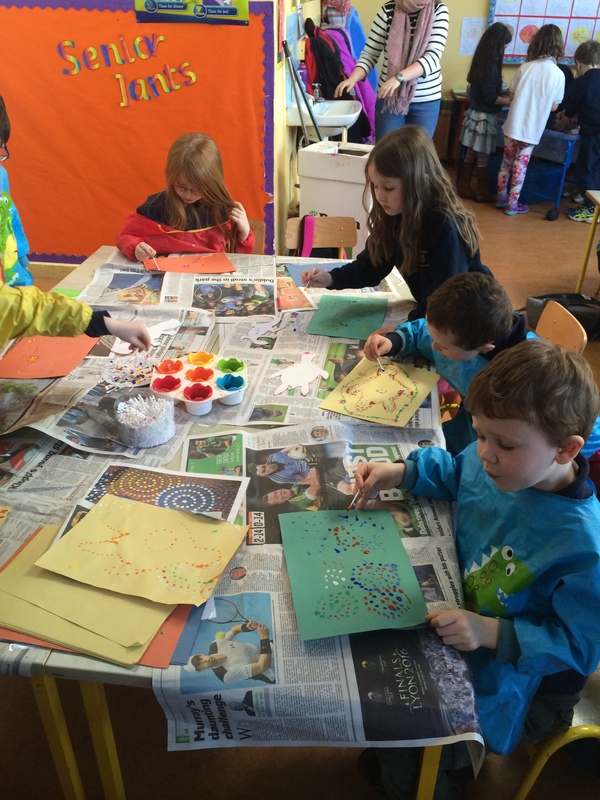 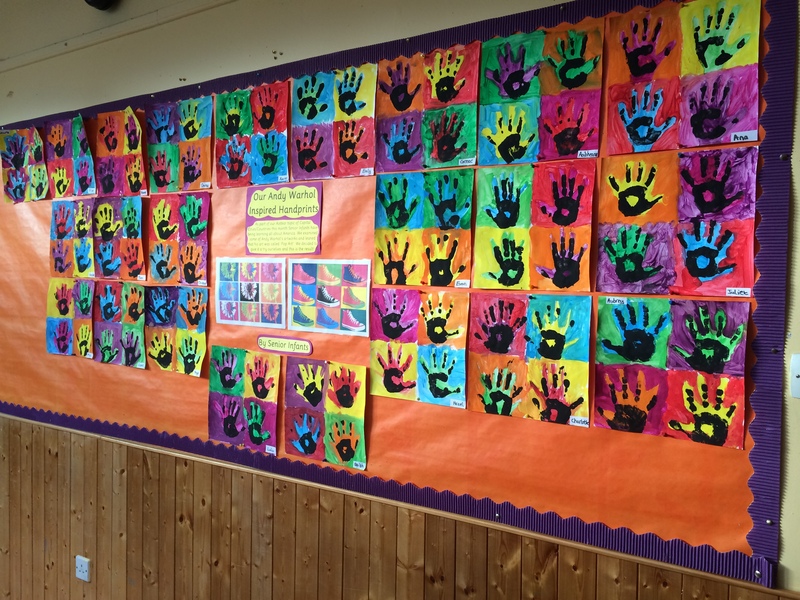 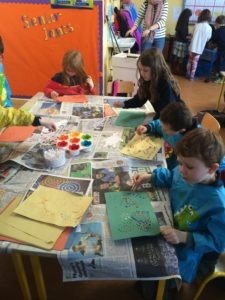 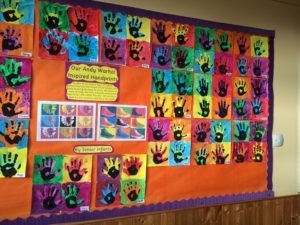 In January Senior Infants were focusing on the theme ‘My Family’. 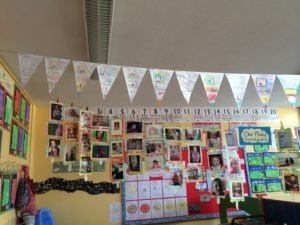 This meant that we learned all about the different types of families, the various members of a family, special occasions that families share together and all about the home. 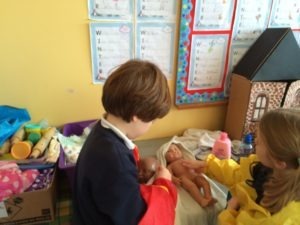 As well as this, we sequenced the human life-cycle, discussed the growth and changes at each stage and learned all about how to look after a baby. 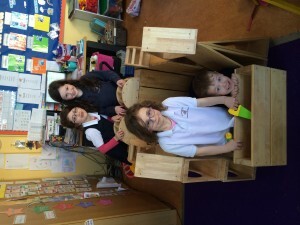 At the Art Table, we firstly completed some junk art houses inspired by ‘The House that Grew’. 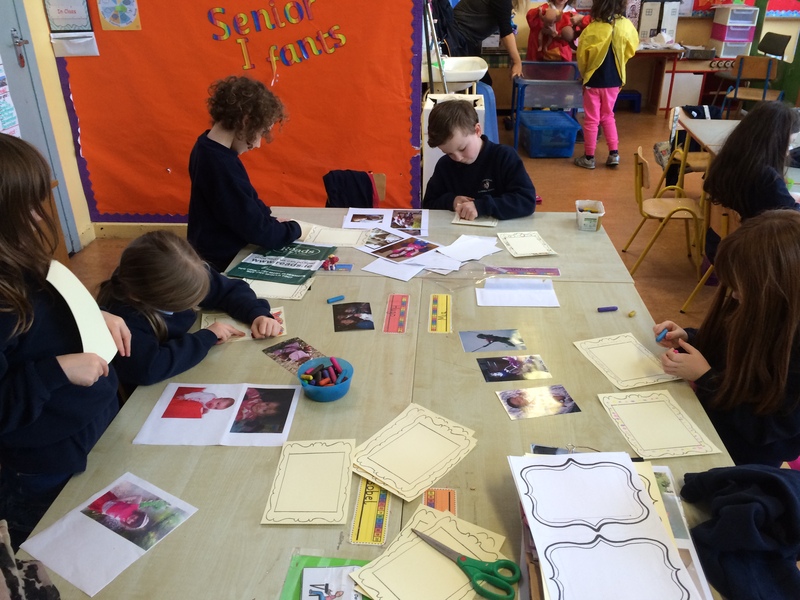 We also gathered family photos and photos of ourselves at the different stages of the human life-cycle so far. We created family trees with the pictures of our families by cutting out pictures of family members and sticking them onto the apples on their tree. 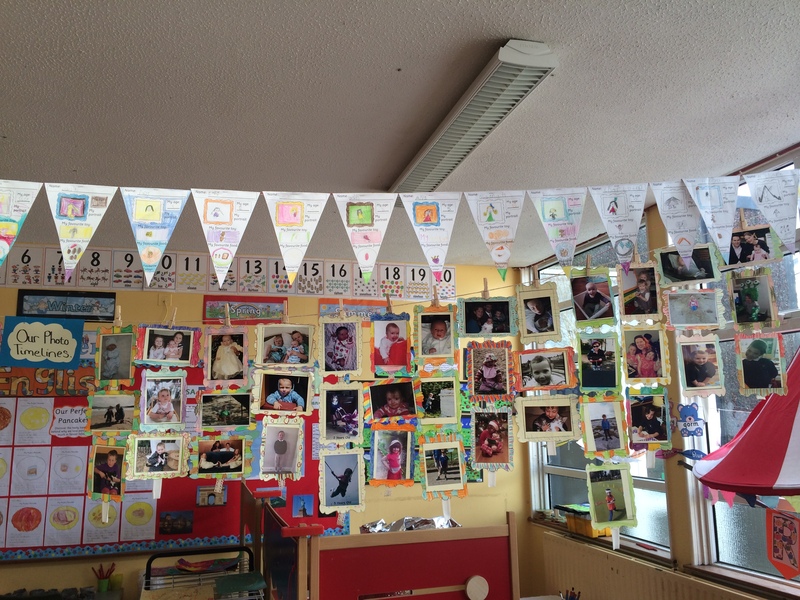 We then designed picture frames for our photo timeline showcasing pictures of ourselves as a baby, a toddler and the present day. 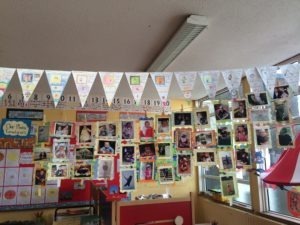 The photo timelines turned out very well and they are now on display in our classroom for anyone that would like to come in and have a look at how we’ve changed! 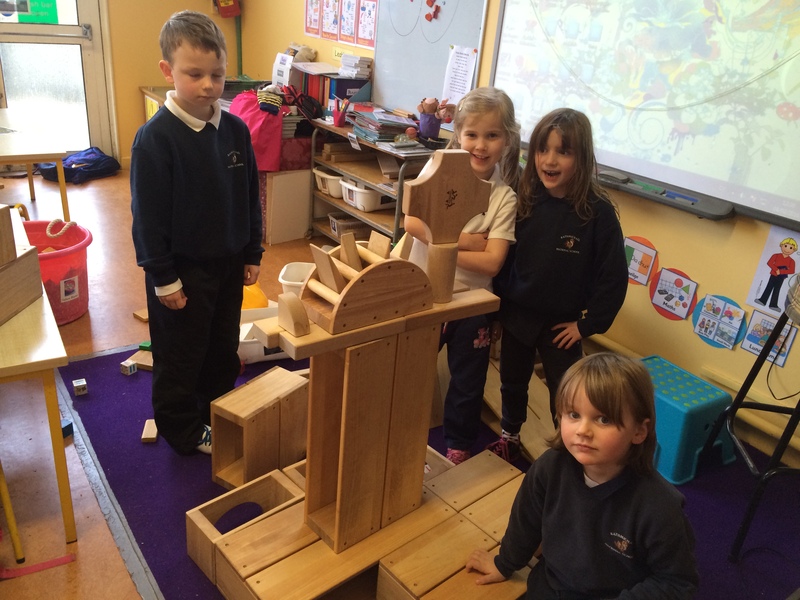 At the Construction Corner we constructed a house, a church and a toy shop over the course of the month. 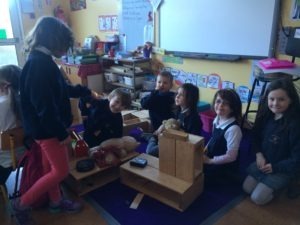 When we were building the toyshop we had a box of toys, some from the past and some from the present day, which we had to discuss and sort into the shelves on the old toy section and the new toys section of the shop. 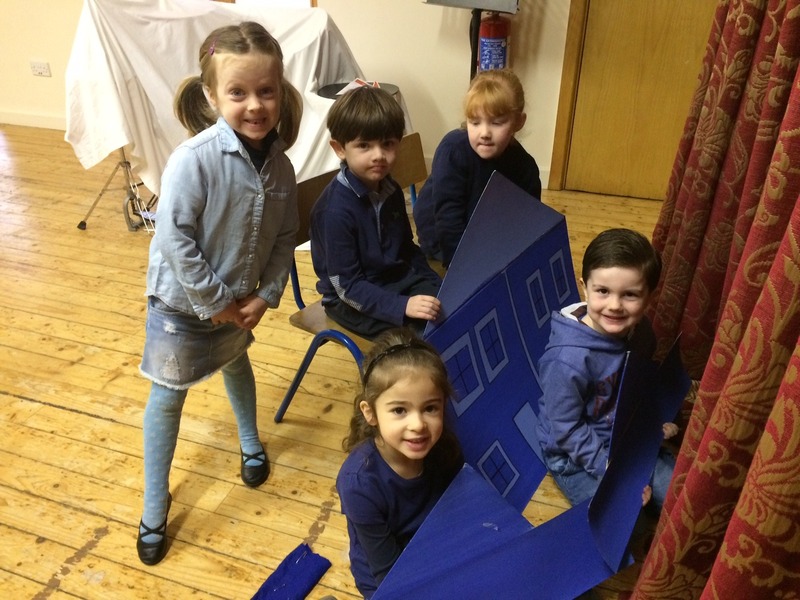 Everyone enjoyed taking on a variety of roles in the socio-dramatic corner, which was set up as The Home, The Wedding and The Christening. 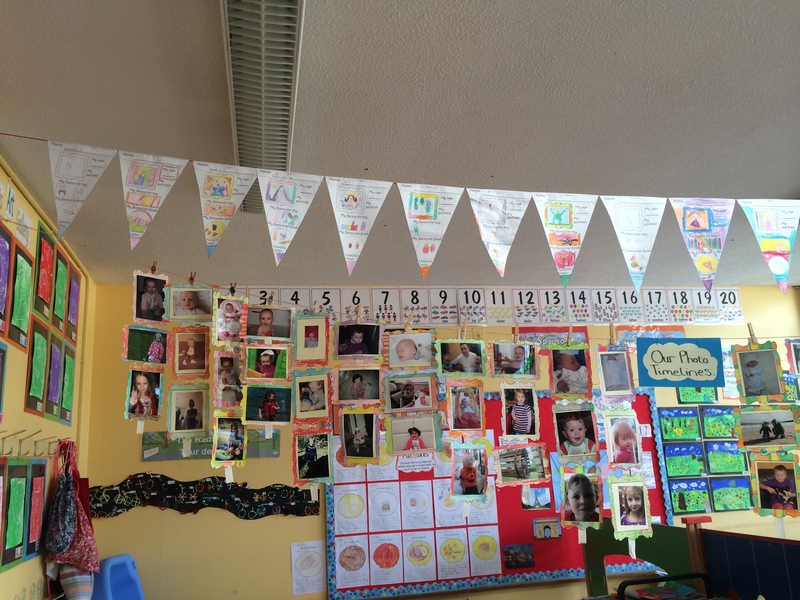 We learned about the people involved in a wedding and a christening, the sequence of events that take place and the significance of these celebrations within families. And as if this wasn’t enough, there was also great enthusiasm when it came to learning about how to bath and care for a baby at the Water Table. 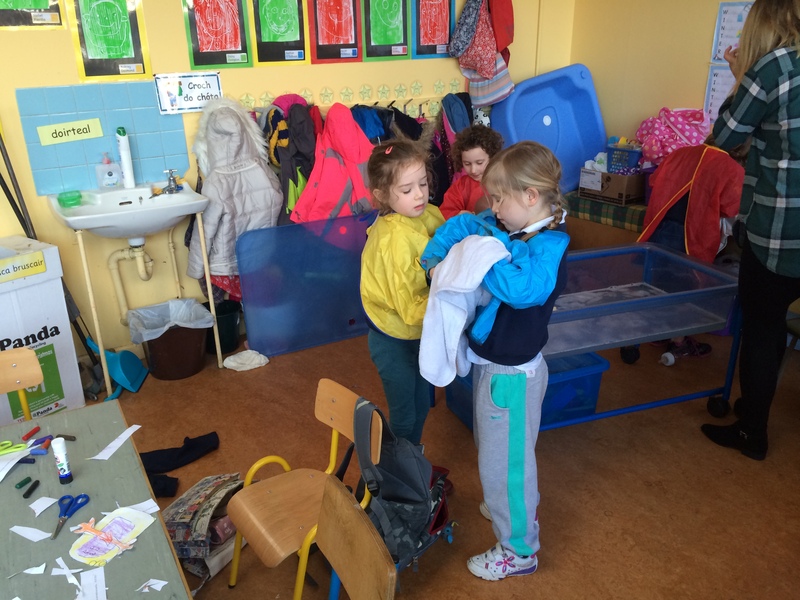 In class we had listened to a story that told us the correct way to hold a baby, how to wash and dry it, how to change a nappy and how to feed and wind the baby. We really enjoyed practicing this with the dolls at the Water Table and we even gave the babies a little massage too! 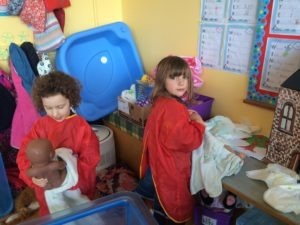 The children will be learning about ‘Our Bodies’ in Aistear up until Easter. 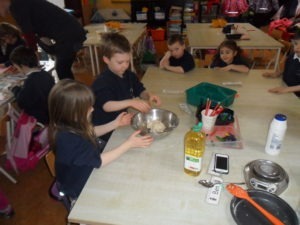 This week they are doing experiments using their five senses. They tasted a variety of salt, sweet, sour and bitter food, they used the musical instruments to create noises to match pictures, the guessed what objects were in the ‘Feely Box’, they looked at optical illusions and discussed what they could see and they used their noses to guess what was in the ‘Smell Pots’. At the Art Table the children made pasta skeletons. 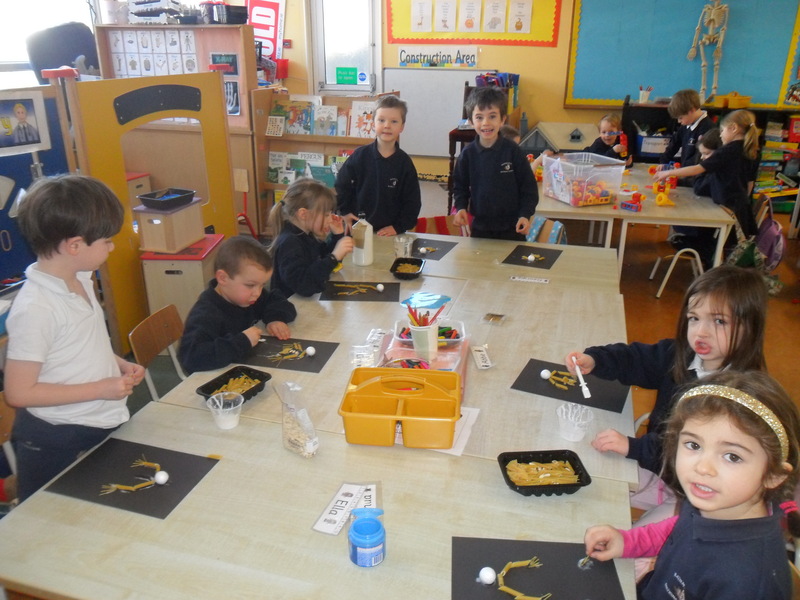 They really enjoyed this as they have been learning about the human skeleton and why we need it. 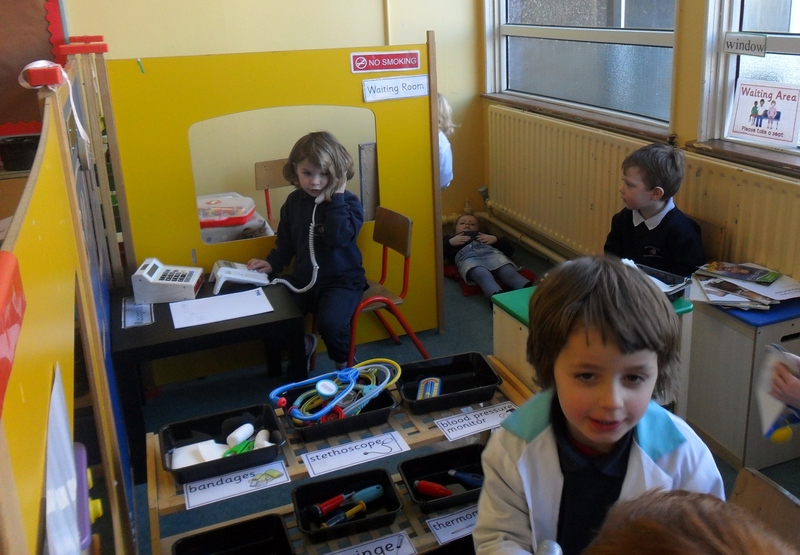 In the Home Corner the children were in role as doctors, nurses, patients, cleaners and secretaries in ‘The Doctor’s Surgery’. 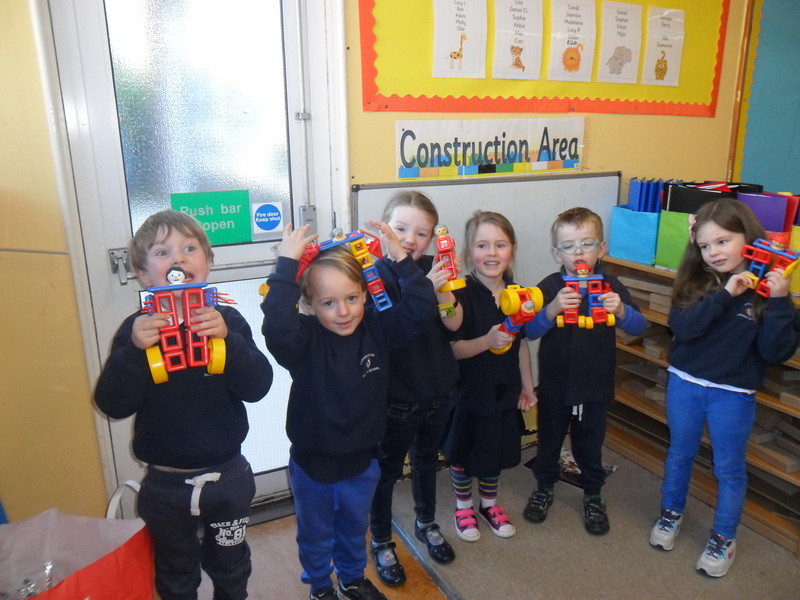 In Construction they made bodies out of Mobilo. 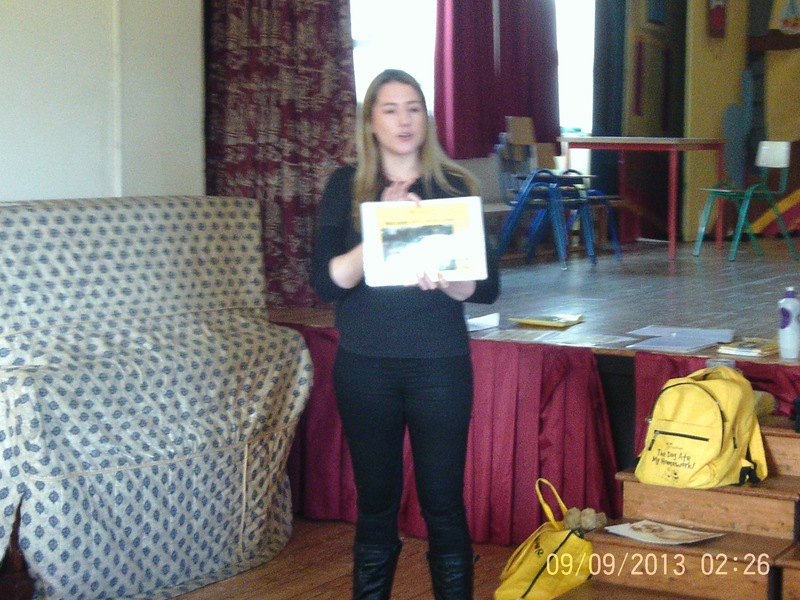 Fiona from Dog’s Trust came to the school and gave a very informative talk to all the children. 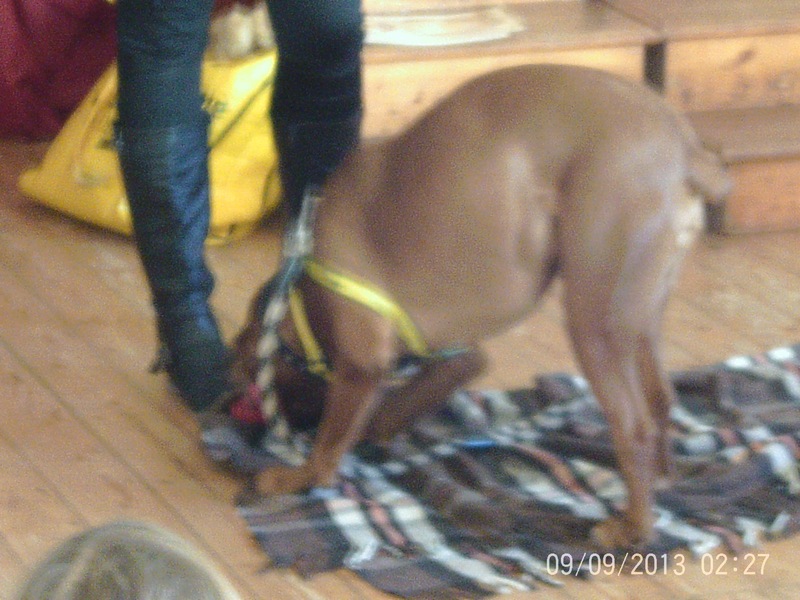 She brought along a three year old boxer who was very well behaved. 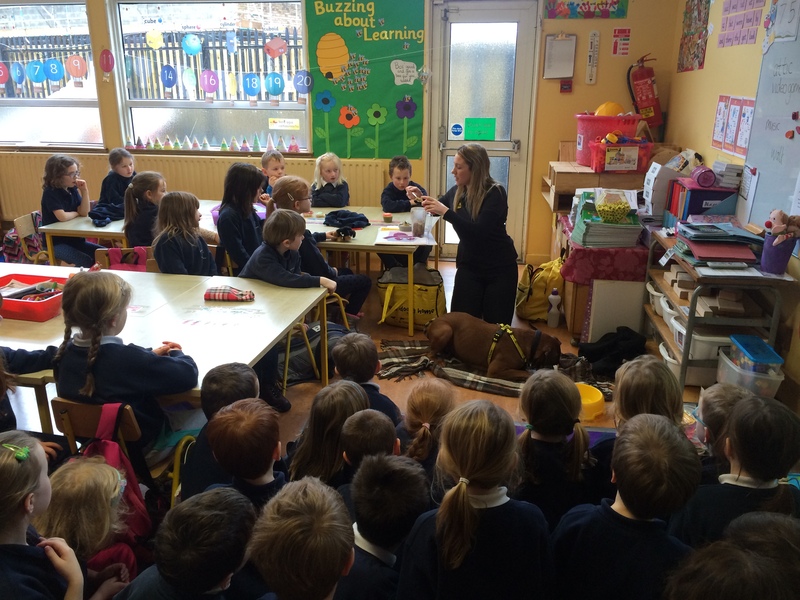 She taught them how to approach a dog and also of the necessity to ask an owner before petting a dog as you never know what sort of character the dog might be. 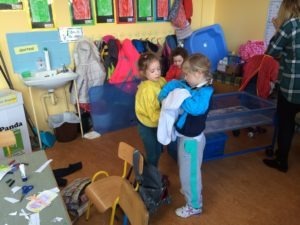 It was a valuable lesson for all the children.